o Miles 302 - 310 (Pine Island Wildlife Area to Portage) River continues east through the Pine Island Wildlife Area to the city of Portage. 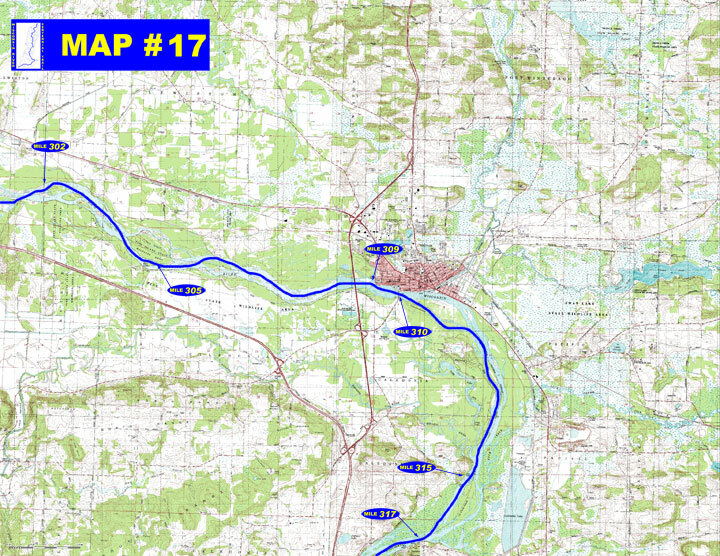 o Miles 310 - 317 (Portage to Dekorra) Many small tributaries enter the river behind islands forming many side channels. The Baraboo River, a major tributary enters from the west just upstream from Lib Cross Island. o No known campgrounds on this stretch of river. o Mile 309 through Mile 311 - Many businesses in the City of Portage & Surrounding area. 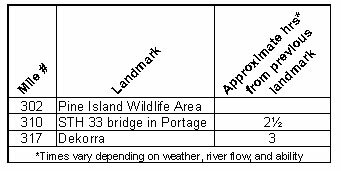 - Flow Information - “For information on river flow near Portage on this website go to Flow Forecasts under Wisconsin River /content.cfm?PageID=84&Cat=0)”.